This free webinar will explore the rendering and presentation improvements in Rhino 6. Kyle Houchens will show you how to prepare a model for rendering, assign materials, and generate image files in Rhino 6. 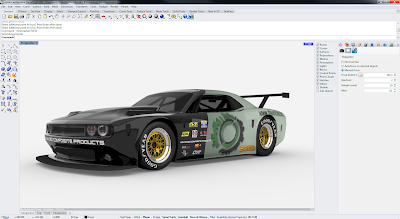 Showcase Rhino 6 rendering and presentation features. This will be an entertaining but fast moving technical demonstration of Rhino 6. Space is limited.